Do you have a pond on your property or have a pool without an outdoor area to wash off? If you do not have anywhere to wash off, then an outdoor shower may be needed. There are many types of outdoor showers you can select to build as a weekend DIY project. 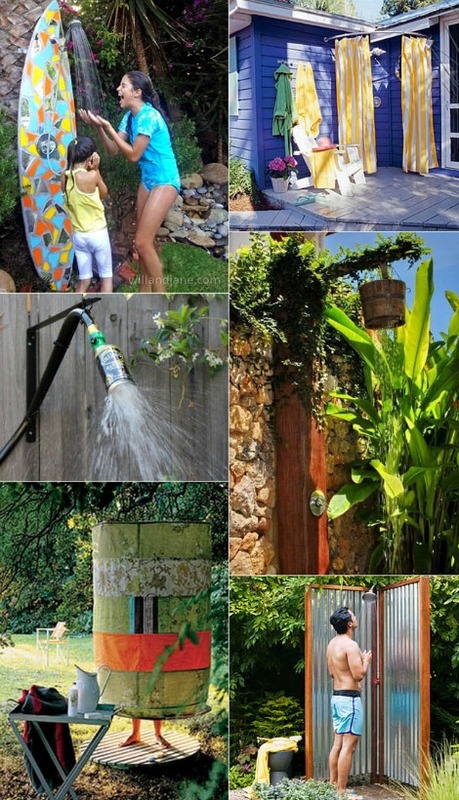 You only need a source of water if you want to make your own outdoor shower to use. The only thing you should do is review a list of ideas for outdoor showers to get some inspiration for your project. A garden hose is the only piece of equipment that you really need for this project. Outdoor showers may also be made using water from a rain barrel or some other container. One thing to think about is how to build the frame for the shower. This can be done using many types of materials that you may already have on hand or may want to recycle.